“The media have been playing the central role in the effort…to stymie any improvement in relations with Russia.“…“We also criticized Mueller for failing to interview willing witnesses with direct knowledge, like WikiLeaks’ Julian Assange.”…Trump, the man who beat the entire US political class to a pulp in 2016 to become US president, now has to be convinced to show a slight spine. Track 1 involves what Barr, echoing Mueller, claims “a Russian organization, the Internet Research Agency (IRA)” did in using social media “to sow social discord, eventually with the aim of interfering with the election.” A careful look at this allegation shows it to be without merit, despite Herculean efforts by the NY Times, for example, to put lipstick on this particular pig. After some rudimentary research, award winning investigative reporter Gareth Porter promptly put that pig out of its misery and brought home the bacon. We do not believe “Track 1” merits further commentary. And former National Intelligence Director James Clapper needs to explain his claim last November  that “the forensic evidence was overwhelming about what the Russians had done.” What forensic evidence? From CrowdStrike? We at VIPS, in contrast, are finding more and more forensic evidence that the DNC emails were leaked, not hacked by the Russians or anyone else — and that “Guccifer 2.0” is an out-and-out fraud. Yes, we can prove that from forensics too. Far too many Americans will still believe this because of the mainstream-media fodder — half-cooked by intelligence leaks — that they have been fed for two and a half years. The media have been playing the central role in the effort of the MICIMATT (the Military-Industrial-Congressional-Intelligence-Media-Academia-Think-Tank) complex to stymie any improvement in relations with Russia. We in VIPS have repeatedly demonstrated that the core charges of Russian interference in the 2016 election are built on a house of cards. But, despite our record of accuracy on this issue — not to mention our pre-Iraq-war warnings about the fraudulent intelligence served up by our former colleagues — we have gotten no play in mainstream media. Most of us have chalked up decades in the intelligence business and many have extensive academic and government experience focusing on Russia. We consider the issue of “Russian interference” of overriding significance not only because that the allegation is mischievously bogus and easily disproven. More important, it has brought tension with nuclear-armed Russia to the kind of dangerous fever pitch not seen since the Cuban missile crisis in 1962, when the Russian provocation was real — authentic, not synthetic. A leak from within the CIA, published on March 31, 2017 by WikiLeaks as part of the so-called “Vault 7” disclosures, exposed a cyber tool called “Marble,” which was used during 2016 for “obfuscation” (CIA’s word). This tool can be used to conduct a forensic attribution double game (aka a false-flag operation); it included test samples in Arabic, Chinese, Farsi, Korean, and Russian. Washington Post reporter Ellen Nakashima, to her credit, immediately penned an informative article on the Marble cyber-tool, under the caching (and accurate) headline “WikiLeaks’ latest release of CIA cyber-tools could blow the cover on agency hacking operations.” That was apparently before Nakashima “got the memo.” Mainstream media have otherwise avoided like the plague any mention of Marble. You may be unaware that in March 2017 lawyers for Assange and the Justice Department (acting on behalf of the CIA) reportedly were very close to an agreement under which Assange would agree to discuss “technical evidence ruling out certain parties” in the leak of the DNC emails” and agree to redact some classified CIA information, in exchange for limited immunity. According to the investigative reporter John Solomon of The Hill, Sen. Mark Warner, D,VA, Vice Chair of the Senate Intelligence Committee, learned of the incipient deal and told then-FBI Director Comey, who ordered an abrupt “stand down” and an end to the discussions with Assange. Comment: Thank-you to VIPs for their great work. Trump, the man who beat the entire US political class to a pulp in 2016 and became US president, now has to be coaxed into showing a slight spine. If President Trump wants to restore the US to respectability he should resign immediately. His actions as president have allowed all the world to see that US presidential elections are meaningless, that voters are ignored, that the US is an out of control failed state with zero credibility to lecture other countries about how they should conduct their affairs. Trump’s successor is irrelevant. The point to be made is that the office of US president is fake. Candidate Trump said no more will US be a “big stupid bully” and in any case we can’t afford it. He said US is $21 trillion in debt and can’t attend to its own needs because it has no money. As president, without blinking Trump has made the US an even more vicious bully and added to the $21 trillion debt he said was hurting us. As to Russia, friendships the sovereign nation of Russia chooses to have are none of Trump’s business. Neither are Venezuela’s sovereign affairs the business of Trump or US taxpayers. Trump laughs in the face of his voters as he seeks half a billion US taxpayer dollars to overthrow Venezuela’s elected government. Who will stop the US war machine? Certainly US voters have no power to do so. One hopes that a group of countries will join to enact regime change in the US. “To be sure, there have been other betrayals. The two strikes on Syria on phony chemical warfare accusations come immediately to mind. Or Trump’s failure to build the Mexican wall, coupled with repeated humiliating defeats in Congress with the predictability of Charlie Brown’s getting suckered by Lucy into trying to kick the football. (continuing): “That’s a lot more plausible than establishment media reports that Assange was ejected for transgressing the Ecuadorians’ fastidious hygiene standards, which (whether based in fact or not) are just cynical defamations to justify his upcoming lynching. In the end it doesn’t matter why, all that matters is what is. With Assange’s arrest Trump is now exposed as the wholly owned subsidiary of the Swamp he ran against. He’s now just a wheel fixed to an axle. All he can do now is spin…. Unfortunately, Trump’s appointees – uniformly neoconservatives, Bush-era warmongers, and GOP apparatchiki – have better things for our military to do than defending our own country, to which they are at best indifferent. We can be thankful that Trump hasn’t started any new wars, yet, but his underlings’ dogged commitment to regime change in Venezuela and Iran may change that. His outreach to North Korea hangs by a thread in the face of blatant attempts to sabotage it…. Despite his no longer representing a threat to the Swamp, the critters will continue to hate him anyway as an avatar of the America they seek to destroy: European ethnicity, Christian (culturally if not spiritually or morally), English-speaking, toxically masculine…. 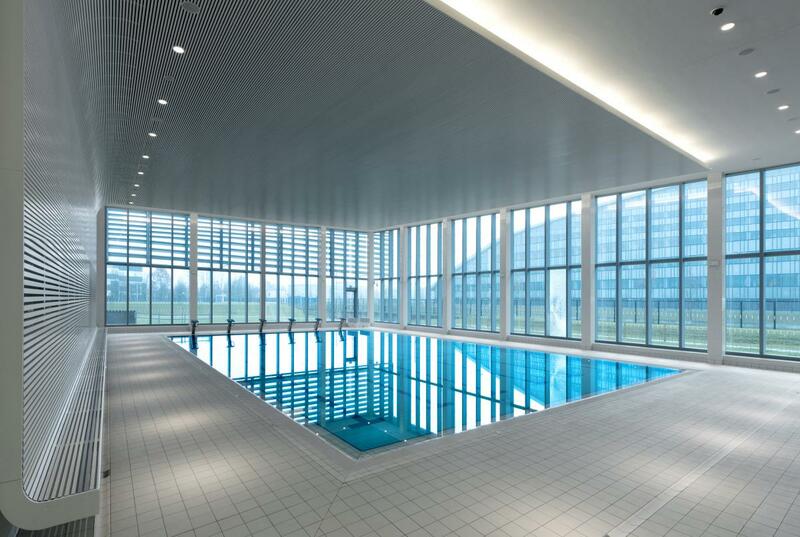 Image: Swimming pool in NATO’s new $1.23 billion hq, 2017 via Assar architects. Since the Soviet Union no longer exists, our superiors had to come up with new ways to rob US taxpayers. “Citi Bike is pulling all of its pedal-assist electric bicycles from service after discovering a braking malfunction has catapulted several riders over the handlebars in recent weeks. The bike-sharing network’s owner Lyft announced the change Sunday, the latest hiccup in its plan to roll out 4,000 e-bikes across the five boroughs by June 21. 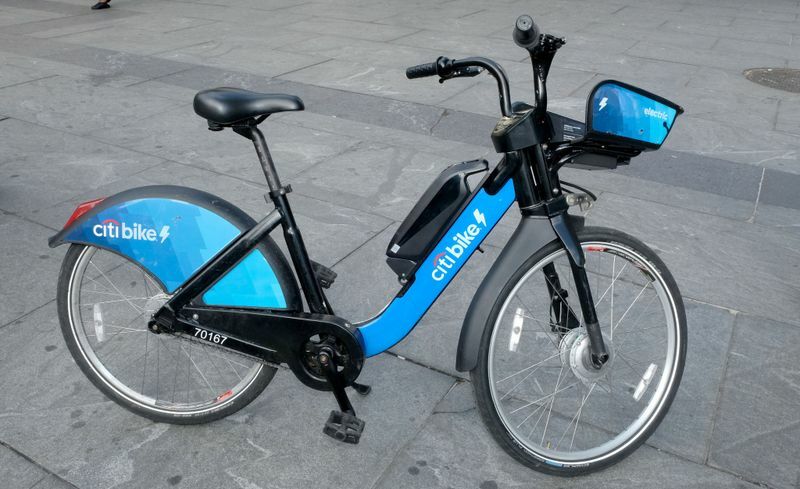 The Daily News confirmed at least four people riding electric Citi Bikes received medical treatment over the past six weeks after hard-stopping front brakes caused them to fly over the handlebars. Bill Somers, 59, broke his hip on March 17 after flying over the handlebars while riding one of the faulty bikes on Central Park West. The accident put Somers in the hospital for four days — he broke the same hip that he had replaced in September. His doctor told him his hip will take months to heal, and that it could be a year before he’s pain-free. Somers said he’s been riding bicycles since he was a child, and has been a Citi Bike user for six years. He didn’t file a complaint after the incident — he thought the accident was his fault until Lyft announced it was pulling the e-bikes. E-bikes have also been pulled from Lyft’s bike-sharing networks in Washington, D.C., and the Bay Area. The announcement comes less than a month after an e-bike battery charging station sparked a fire at Citi Bike’s maintenance hub in Brooklyn. Lyft spokeswoman Julie Wood said the company is working to find the root cause of the braking issue, and the halt in e-bike service is only temporary. Workers at Citi Bike’s facility aren’t surprised by Lyft’s decision to pull the easy-riding e-bikes — one said the company has been aware of the problem for weeks. Wood said Lyft has been working on a new e-bike model that will hit the streets soon, and that the e-bikes currently in service will be replaced by classic, pedal-powered two-wheelers. There are about 12,000 pedal bikes on city streets and 1,000 e-bikes. “The U.S.-Mexican border is essentially wide open. Why? Because there is a general expectation in Mexico and Latin America that American immigration law is unenforced.Or it is so bizarre that simple illegal entry almost always ensures temporary legal residence, pending an asylum hearing. In an age of 500 sanctuary city and county jurisdictions, few illegal aliens believe they will ever be deported permanently, even if they have been apprehended committing serious crimes. There is also a general perception among would-be illegal entrants that [the entire political class including] prominent Democrats and progressives welcome their massive influxes as useful and will do their best to ensure illegal immigration continues unabated. 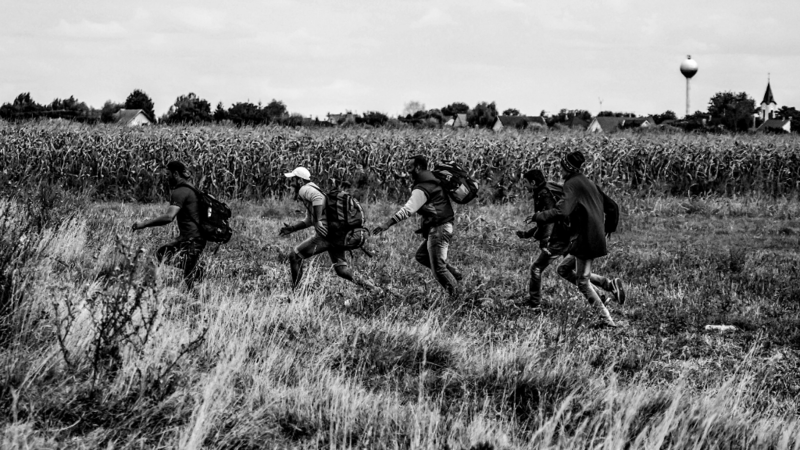 Illegal alien families sense that they are vital to [agendas of the entire US political class including] progressive agendas of fundamentally transforming the country by importing first-generation, loyal constituents—a sentiment that is slowly replacing the prior idea of mostly young men coming to work off the books…. In such an equation, the more that illegal aliens arrive, swamp social services and tax law enforcement, the more that they create ethnic enclaves that resist rapid assimilation and the more that they sense that their hosts [the entire US political class] see them most useful as an identity politics constituency, then the more parts of the southwestern United States will seem more like Mexico, and perhaps to the point of eventually diminishing illegal immigration. The formerly rich diverse community of Japanese-, Armenian-, Basque-, Portuguese-, Mexican- and Scandinavian-Americans have long since vanished. I stopped riding a bike in my rural environs four years ago, given the packs of unlicensed and unvaccinated dogs, and the owners indifference to their attacks on passersby…. The avenue where I have lived for 65 years in terms of the fundamental metrics of civilization—sanitation, single-family zoning, building codes, mosquito abatement, dog licensing and registration, and sanctions for illicit activity—has regressed a half-century or more.